Hi there! 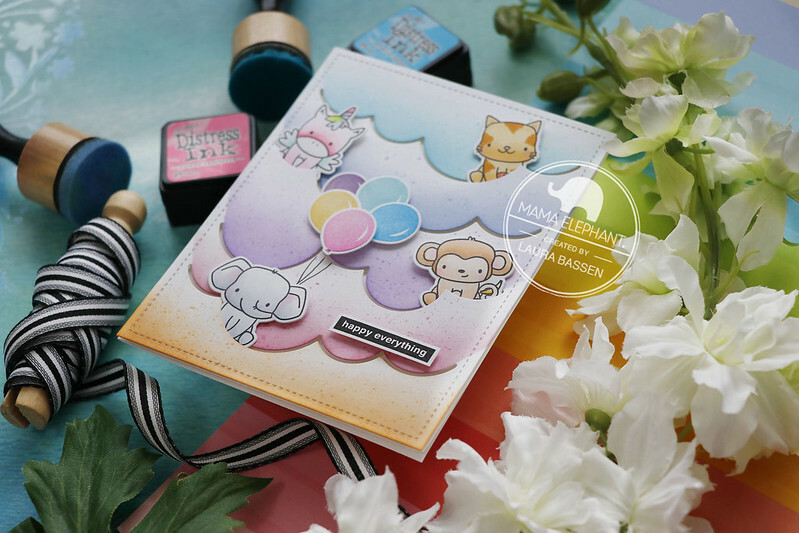 Laura here and today I have a colorful project to share with you featuring a few of the fun, new January release products. To begin I die cut the Cloudy Day Cover with white cardstock and masked off each cloudy section to blend & flick color using distress inks. 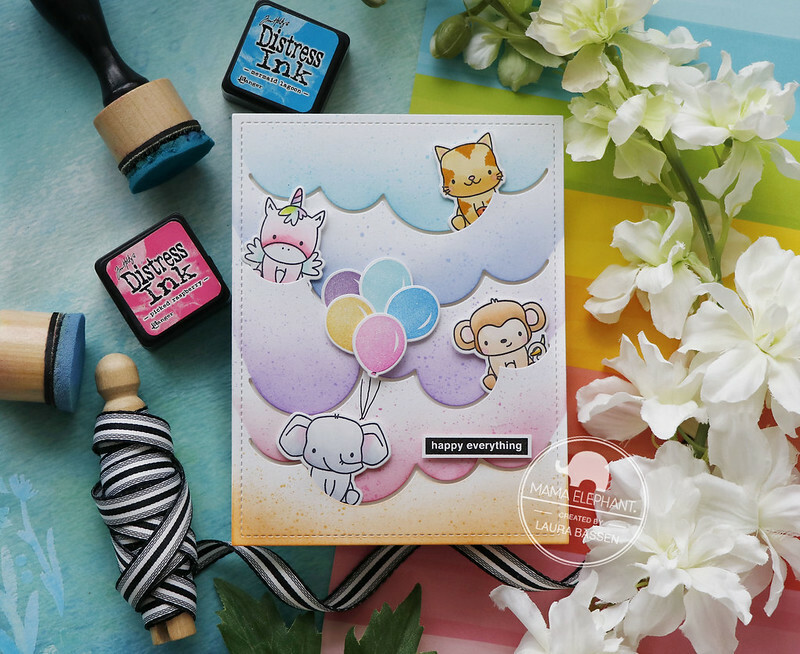 Then I stamped and colored the adorable images from Stackable Cuties with Copics & kinda tucked them into the Cloudy Day background. For the sentiment I used Wild Meadow. Here is a video to show you how I created this card. Happy Accidents (as Bob Ross always said) I would have never noticed they were upside down!!! You go gurl!! Adorable as usual. What a happy card! I was expecting you to flip the curves upwards but they are just fine as they are. Cumulus clouds are puffy both ways. The clouds are touching down. BEAUTIFUL!!!!! I am loving those cute stackable critters. I love them and your card. The cloud die is awesome. I would never of known if it was upside down if it is upside down.. I think clouds can go either way.. I love it no matter what and both of these are a must on my list of wants.. Thanks for the inspiration. 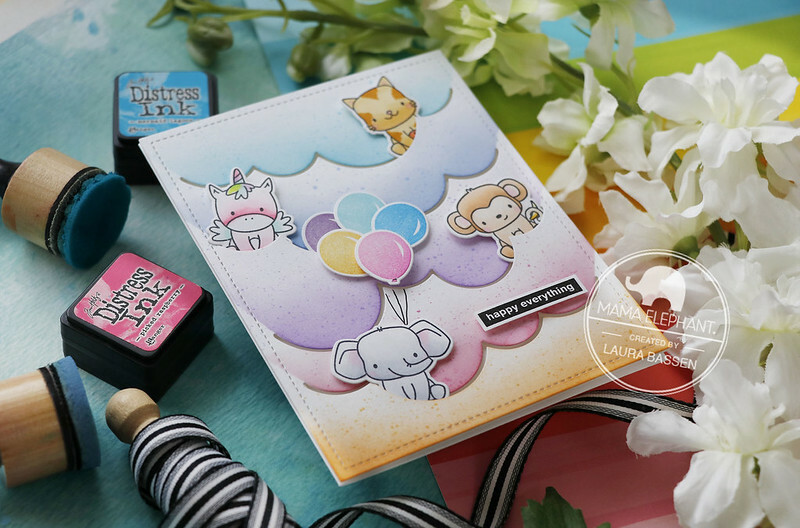 It's definitely an adorable, happy card! I thought you purposely turned it that way to tuck the critters in. It works either way! Super sweet just the way it is!